One man is taking the title from a traditional nursery rhyme to heart and acting as the muffin man to help those who have experienced homelessness through a unique baked goods community outreach project. "National Muffin Day is a day of baking and giving to foster awareness of, connection to, and empathy for those who need it the most," Jacob Kaufman told ABC News about the unofficial holiday that falls on the final Sunday in January. He said he began his philanthropic efforts five years ago to help "spread the love" to homeless people in San Francisco. Jacob Kaufman and Julia Levy’s National Muffin Day project baking muffins for those affected by homelessness in various communities on Jan. 28, 2018. "The anti-homeless sentiment and lack of empathy made me uncomfortable and I wanted to do something about it so I walked through Market street and handed out muffins," Kaufman explained of the inaugural National Muffin Day. Kaufman said he donated $10 dollars to Project Homeless Connect, a local nonprofit organization in San Francisco that serves those experiencing homelessness, for every person who baked and gave out muffins. He said the law firm he worked for at the time, as well as his father, matched the funds. 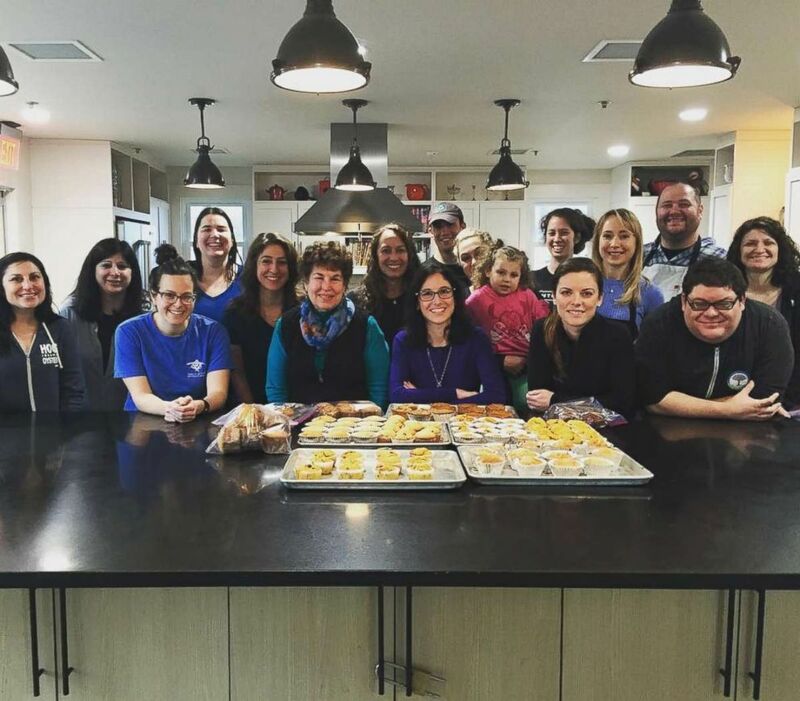 Project Homeless Connect CEO Meghan Freebeck told ABC News that their own mission of compassion aligned perfectly with what Kaufman was looking to accomplish with National Muffin Day. "A couple years ago they wanted to make sure the event was doing something more substantial with more longevity," she said, adding that they are able to support the homeless population with the funds long after the last Sunday in January. After a year of his local efforts, Kaufman said his friend connected him with Julia Levy, who worked in fundraising in New York City at the time. "I was super inspired by his story and I wanted to participate immediately," Levy told ABC News. "I said, 'What if we created this holiday together?' and we cooked up the idea to get this thing going." The pair collaborated and began using social media to help spread their cause nationally. They set up a "National Muffin Day" Facebook page, used the hashtag "GiveMuffins" on social media platforms, and this year, they made muffin Bitmojis and created Facebook photo frames to increase public awareness. 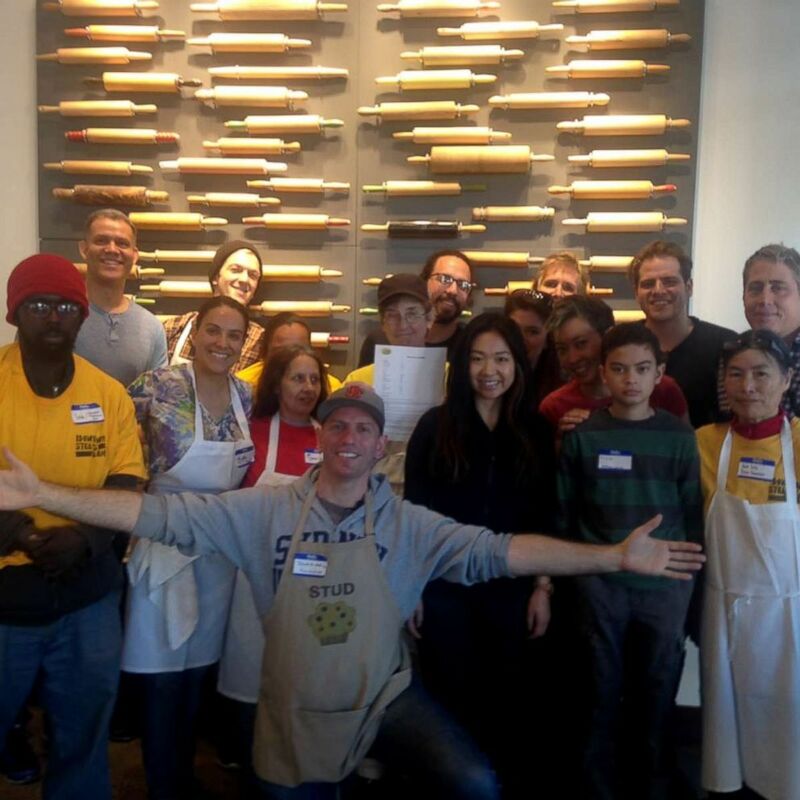 This year, Kaufman attended a baking party in San Francisco with Freebeck at Hayes Valley Bakeworks, a bakery that gives employment opportunities to people who have experienced homelessness. 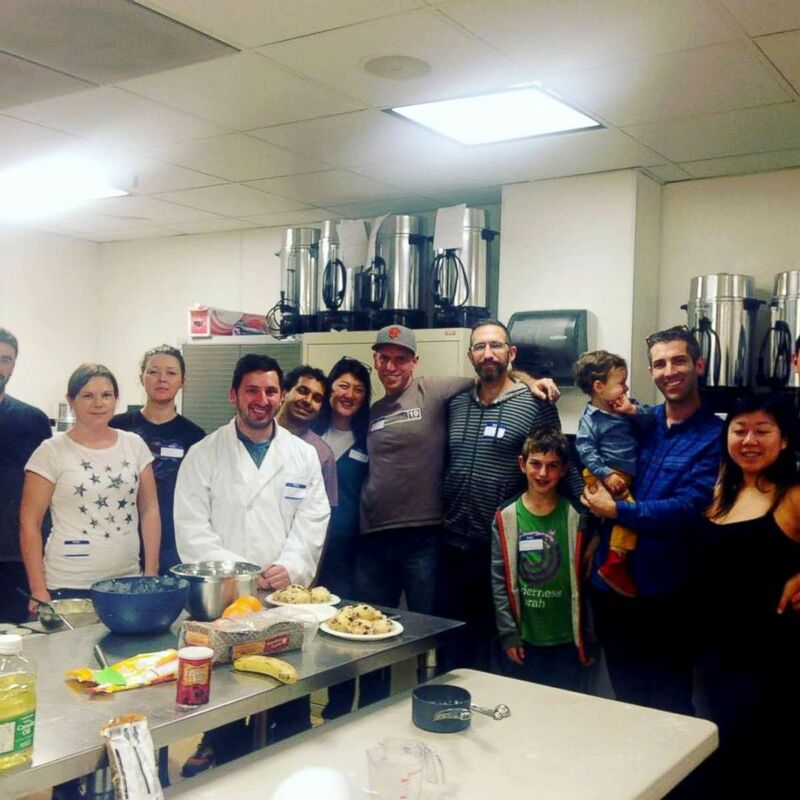 Levy attended a baking party of her own in Atlanta, Georgia, but all three said this was their most successful year to date with more than 200 participants. At the time of publication, the projected unofficial amount of bakers who participated this year "is around 210," Kaufman said. "But I suspect it will go up by another 10 or 20 as more stragglers report their baking adventures. That means over $6,000 for Project Homeless Connect," he said. 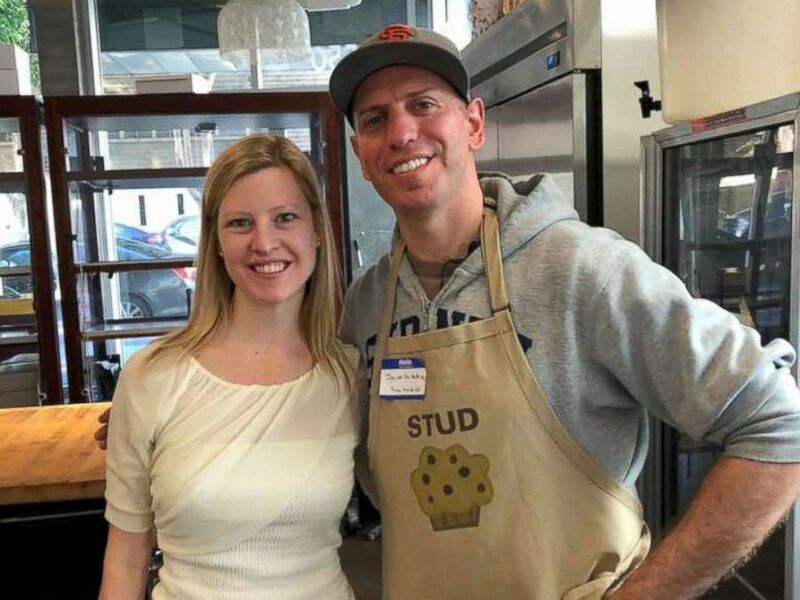 Project Homeless Connect CEO, Meghan Freebeck, on National Muffin Day with founder Jacob Kaufman on Jan. 28, 2018. "I definitely enjoy scrolling through social media feeds to see dozens of dozens of families and community groups baking hundreds of muffins," Freebeck said. "It's a neat way that it doesn't matter where you are that these cities are coming together to help homeless in their own communities," she added. "This is unlike any other holiday," Kaufman said. "It's not about consumers, it's about helping people and making a big difference." He continued, "It's less about the money and the muffins, but the experience of people who are more fortunate getting out and interacting with more homeless people. It really means a lot for them to feel like people actually care about them." Levy and Kaufman both feel they have sparked a movement and hope to see this project continue to grow. "This has really sparked a movement that can be built in many exciting ways and educate others about the homeless population and what others can do beyond muffin day," Levy said.